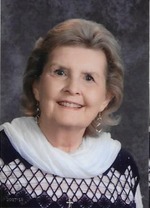 Carolyn Joyce Tunnell, age 71, of Joplin, Mo., passed away on Thursday March 15, 2018 at the home of her son in Bentonville, Ar., following an illness. Carolyn was born on February 4, 1947 in Dallas, Tx., the daughter of Marvin and Joyce (Johnson) Hodges. After working many years for Youth For Christ in San Antonio, Tx. She moved to Joplin to found the Youth For Christ branch here. After that seed was planted, she began her role as the youth pastor at First United Methodist Church, where she continued to help cultivate young minds and hearts for Christ. She then assumed the same role at Christ’s Community United Methodist Church before feeling called into the schools, completing her master’s degree so that she could begin her final role as a counselor in the Joplin R-8 School District, primarily at McKinley Elementary, where her impact in her children’s lives could be seen and will continue even after her passing. Her passion for bringing Joplin’s youth to Christ extended beyond her work duties, as she gave much of her time to the Crisis Pregnancy Center (now Lifechoices), she founded the Mom’s Club to mentor unwed teen mothers and prayed for her children on a daily basis. Rarely could she go anywhere without taking the time to heed a call to “Mrs. Tunnell” and offering a hug to someone, child or adult, that she had impacted with her work. She is survived by her mother, Joyce Hodges of Joplin, Mo. ; three sons, Aaron Tunnell and his wife Brandy of Bentonville, Ar. ; Benji Tunnell and his wife Donna of Webb City, Mo., Brock Tunnell of Joplin, Mo. ; one daughter, Brianna Howard and her husband Nick of Joplin, Mo. ; five extraordinarily loved grandchildren Mirabelle, Hailey, Reagan and Constance Tunnell and Liam Howard; two brothers Jerry Hodges and his wife Linda of Hurst, Tx, and Tom Hodges of San Antonio, Tx., her extremely protective and fiercely loyal dog Aggie and her former husband Hartford. She was greeted in Heaven by her father, Marvin Hodges. Services will be 2:00 p.m. Wednesday at First United Methodist Church. Pastor Bob Howard will officiate. Burial will follow the service in the Ozark Memorial Park cemetery. The family will receive friends from 6-7 p.m. Tuesday at the Mortuary. Memorial contributions can be given to the First United Methodist Church Youth Group in care of the mortuary.